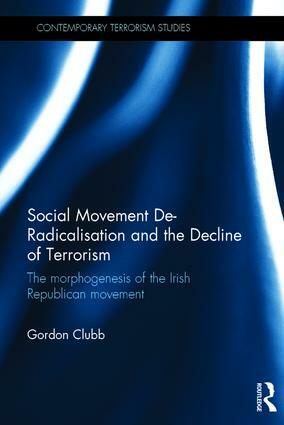 By drawing on social movement theories, this book explains how terrorist movements decline, using the case of Irish Republicanism. The continuity of terrorism and political violence from generation to generation demonstrates the need to go beyond a focus on groups or individuals in order to explain how terrorism ends. The concept of de-radicalisation has been critiqued for its lack of explanatory value in accounting for disengagement from terrorism or how the risk of terrorism re-emerging is reduced. However, building on the morphogenetic approach, this book distinguishes between structure/culture and agency over time in order to analyse the causal influence between the two. Two processes are analysed: disengagement framing processes explain how actors change attitudes to violence and the book identifies which factors ensure frames resonate with audiences; and social movement de-radicalisation accounts for the outcomes of disengagement in initiating structural change which transforms the landscape the next generation finds itself in. The fundamental aim of the book is to provide theoretical and conceptual insights into how terrorism can not only come to an end, but can be prevented from emerging to be a significant threat again within a society. This book will be of much interest to students of terrorism and political violence, social movement theory, British and Irish Politics, war and conflict studies, security studies and IR in general. Gordon Clubb is Lecturer in International Security at the University of Leeds, UK, and Director of the Terrorism and Political Violence Association.